Jitsie Oset 20.0 Racing Rear Sprocket for the rear hub adaptor fitted as standard on this model. Excellent super strength sprockets from Jitsie. 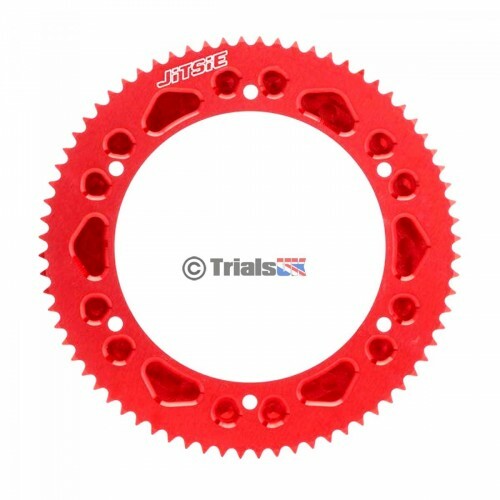 CNC Machined rear sprocket to provide both strength and also safety, with a recessed face and anodised in red for that factory look. Meets FIM requirements on sprocket safety and stops injuries caused by trapping inside the sprocket face.